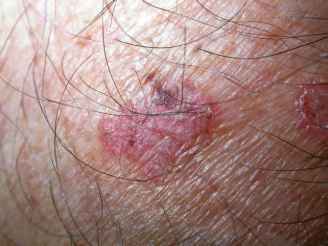 • Preventive measures can reduce the incidence of pressure ulcers in elderly patients. • Classification is only one aspect of wound assessment. • Assessment of pressure ulcers includes identification of risk factors. • Pain assessment is an essential component of management. • Risk factor modification is the key to management of pressure ulcers. Pressure ulcers are a common and serious public health issue, especially in the elderly population. The reported incidence is as high as 22% in the nursing home population and range from 4.7% to 9% up to 32% in the hospitalized population (Allman, 1995, 1997; Coleman et al., 2002; Kaltenthaler et al., 2001). The treatment costs related to pressure ulcers exceed an estimated $5 billion annually in the United States (Xakellis et al., 1995). Prevention is paramount and can reduce the incidence of pressure ulcers by 50%. A thorough assessment of the wound and potential risk factors is the key to management.